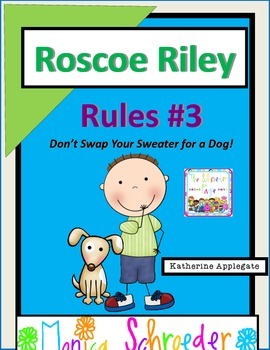 Skills: This novel study is for the book Roscoe Riley Rules #3: Never Swap Your Sweater for a Dog. This book is a written on a 2nd grade level. This novel study is perfect for a first grade shared read or a 2nd grade small guided reading group. 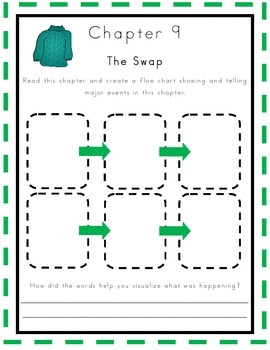 This file is a 36 page download that walks you through each chapter with response activities, a character bubble map, vocabulary recording sheets, a vocabulary word sort, retelling cubes, making words, flow map, writing prompt and a book recommendation sheet. 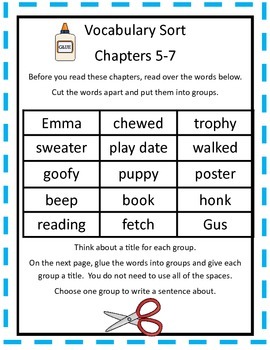 Included you will also find a vocabulary word search, making words sheet, a feelings trophy sheet, and a dog compare. This is everything you need to keep your students thinking and responding during a shared or guided reading lesson for the 14 chapters in this book. 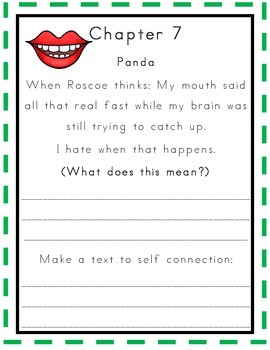 Roscoe always delivers and exciting story that encourages text to self connections! Don't miss out on sharing this with your class. If you download, I would love for you to rate and leave feed back. Please consider becoming a follower of my TpT store so that you will receive notification when I post units and freebies. Thanks so much for supporting my dream of teaching and sharing ideas.